WSO Fall 2018 Seminar: “Solving Complex Orthodontic and Interdisciplinary Cases Using Today’s Technology”. Born in Moscow, Russia, Dr. Ilya Lipkin immigrated to the United States with his family in 1990. Working full-time, he simultaneously earned a bachelor’s degree from New York University and went on to earn his dental degree from NYU’s College of Dentistry. He then completed his residency in orthodontics in the college’s department of Post-Graduate Orthodontics. As an education enthusiast, he continued to receive additional training in the Roth-Williams philosophy, aiming to address all the structures of the chewing system, especially jaw joints. 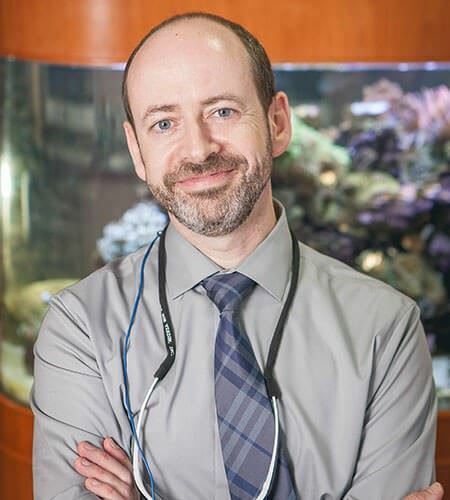 Dr. Lipkin has won many awards including the Award for Excellence in General Practice of Dentistry and Human Values from the NYU orthodontics honors program as well as the Program Director’s Award and the Achievement Award from the post-doctoral program in orthodontics at NYU. He also earned the Honors Award from the American Association of Orthodontists Foundation and the award for Exceptional Interest in the Development of the Oro-Facial Complex from the American Association of Orthodontists. Dr. Lipkin will discuss his use of TADs, Wilcko, lingual orthodontics, digital treatment planning, Propel, surgical cases, and aligners. He can include a part on anterior esthetic guidelines as well as early Tx (Phase I w TADs, Aligners w Phase I, etc.). Today’s technology offers us a multitude of possibilities when it comes to the diagnosis and treatment of interdisciplinary dental patients. Unlike our Mentors’ paper tracing VTOs and cutting stone models, newest technology like SureSmile, CBCT, TADs, Wilckodontics, aligners, 3D scanning/printing and a combination of any of those options makes planning and executing interdisciplinary treatment significantly more predictable along with substantial reduction in treatment time. This presentation will focus on complex orthodontic and interdisciplinary cases successfully treated utilizing the latest innovations in the 3D world. Introduction of Representatives during Session Address. Option to place promotional items or literature for your company for each attendee in session room. Logo inclusion in the Sponsor/Exhibitor Slide Show. Company listing in event program. Name badges with sponsor recognition ribbons. Display includes an 8'x30" skirted table and two chairs. Roster of attendees provided onsite to each vendor upon arrival at the conference. Complimentary meals and refreshments during exhibit hours (Friday lunch included). Booth electricity available for $50. Exhibit materials may be shipped to Blue Harbor Resort & Spa, 725 Blue Harbor Drive, Sheboygan WI 53081. Shipments should be clearly marked, indicating the conference date, name of conference, and your company's name and should be received no sooner than three business days prior to the conference. Blue Harbor Resort & Spa may charge handling fees for packages being shipped to exhibitors. Coordination and fees related to shipping of exhibit materials to and from the conference are the responsibility of the exhibitor. Please note: The exhibitor assumes the entire responsibility and liability for losses, damages, and claims arising out of exhibitor's activities on the Convention Center premises and will indemnify, defend and hold harmless the hotel, its agents, servants and employees from all such losses, damages and claims. All vendors will be invited to the general session room and given the opportunity to introduce themselves to all attendees and share information about their products/services. Each company will be given 2-3 minutes to present and encourage attendees to visit their booth! Don't miss this great opportunity. Registration is September 6, 2018. Registrations received after September 6, 2018 will be processed on site at the conference. All cancellations must be received by September 6, 2018 at the WSO office. No refunds will be made for cancellations postmarked or faxed after September 6, 2018. Refunds will not be given for no-shows. If you have questions regarding the WSO Conference, please contact the WSO office at 920-560-5626. For directions, please visit this link.